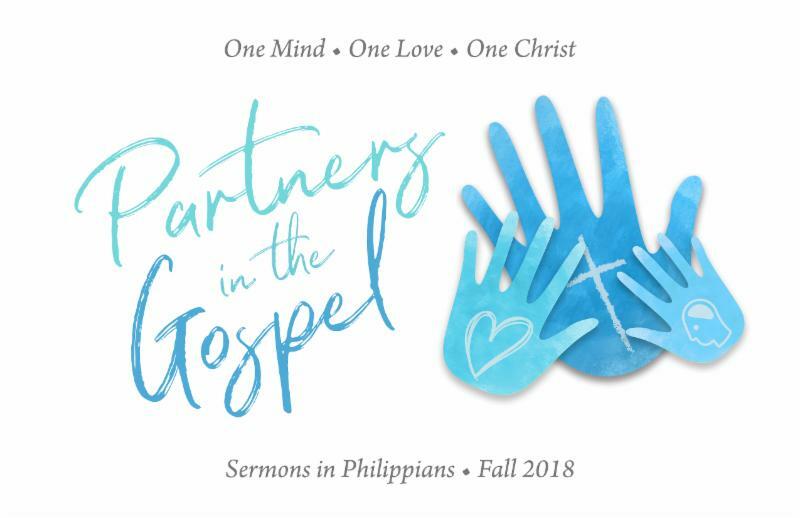 During this election season, it just so happens that our study of partnership in the Gospel takes us right to the passage that talks about the idea of citizenship in heaven (Philippians 3:20). As one Greek New Testament dictionary defines it this way: "our home is in heaven and here on earth, we are a colony of heavenly citizens." Does it mean , the 'commonwealth' of heaven just checks out and takes on a passive-aggressive posture on earth until we actually get there? .. Read More Below! The TCC Board is currently initiating the nomination process in preparation for our January 2019 Annual Congregational Meeting. The first step is to form the Nominating Committee. As a reminder, per the by-laws, the Nominating Committee includes the Senior Pastor, Moderator and one other Board member as well as four members from the congregation. We are seeking recommendations for four members from the congregation who will join the Senior Pastor, the Moderator and a Board member on that Committee. 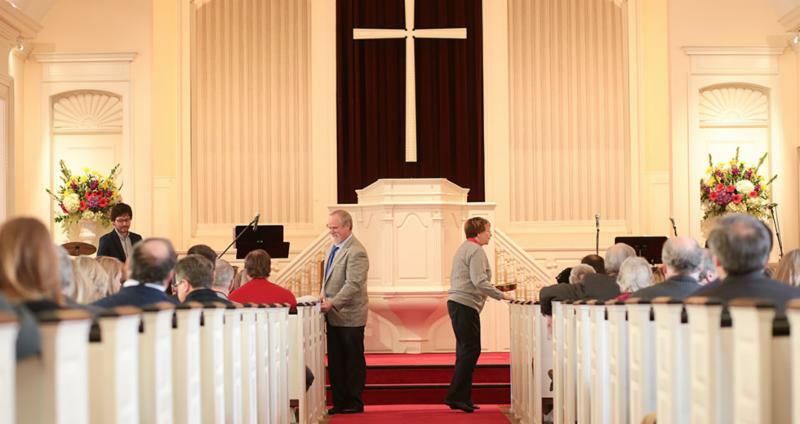 The Nominating Committee is responsible for nominating members of the congregation to fill all open and elected positions at the Annual Meeting. This year, there are openings for all officer positions (Moderator, Treasurer, Assistant Treasurer and Clerk), which are one-year terms. The Board has 2 vacancies, the Deacons have 5 vacancies, Finance has 2 vacancies, and the Missions chair is open, all of which are 3 year terms. Please contact any Board member to suggest potential Nominating Committee nominees. We are eager to hear from you! A devoted group of men have been playing basketball in the gym at TCC almost every Thursday night since last winter. Each week about 5-10 men come and take advantage of the amazing facility that we are blessed with at TCC. We play "pick-up" which just means that we form new teams each week depending on who can play that week. Adults and young adults are welcome - just show up. This includes both church members and friends and neighbors who do not call TCC home. We play hard but we "take it easy" and always consider it a good night if there are no injuries. If you or someone you know is interested, please reach out to Sam Jackson ; Start time is at 7:45 pm every Thursday. Veterans' Day Program THIS Sunday, November 11th. T here will be an outdoor Veterans' Day program at the Wayland Veterans Memorial next to the church on November 11 at 11:00 am. The program will be half an hour in length. The featured speaker is CSM Pintagro, Natick Army Soldier Systems Center and co-worker of George Bernard. This ceremony also marks the 100th anniversary of the end of WWI. New Grief Group to Begin in November. A new Grief Group will be starting at TCC on Tuesday, November 27, 6:30 - 8:00 pm . The group will meet biweekly over the course of six months. The book Understanding Your Grief by Alan Wolfelt will be used as a format for discussion. If you are in need of support, encouragement and understanding around the death of someone you love, please consider joining this group. 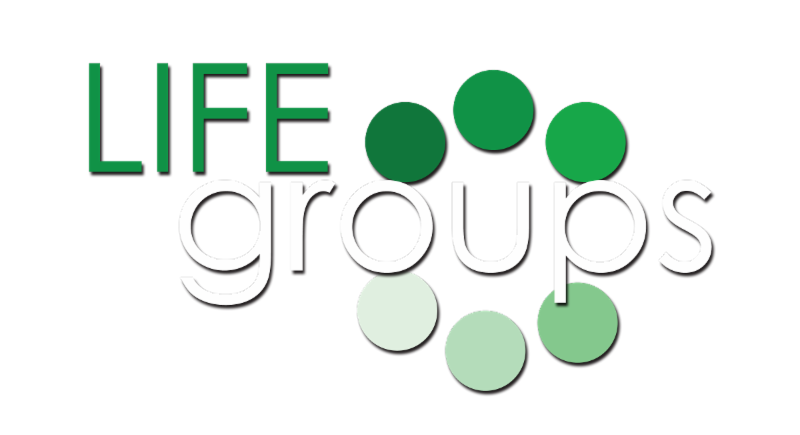 The purpose of the group is to provide a safe place to process grief through the lens of faith. Registration is necessary. For more information or to register, please contact Jane Stankiewicz 508-314-0827, jlstanky@comcast.net or Kathleen Barrett 508-308-4985, bkbarrett@verizon.net . 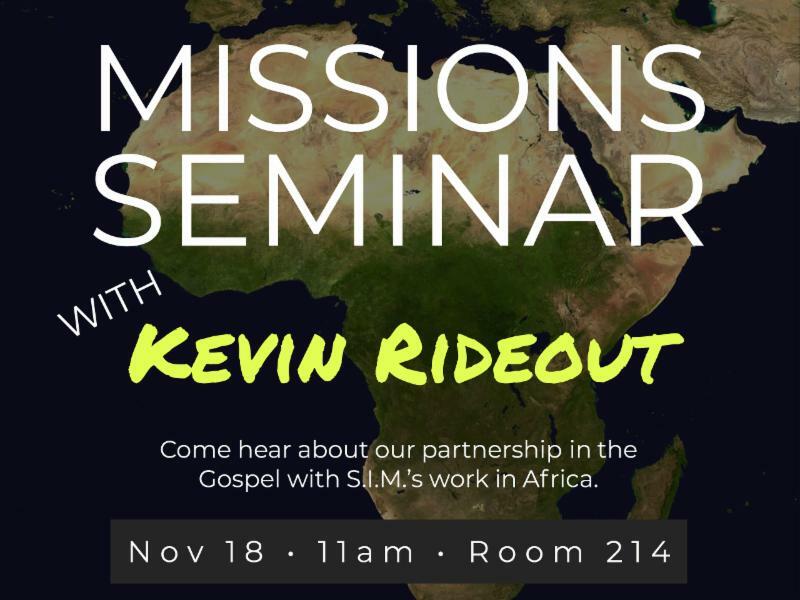 Next Sunday, Nov 18, during the 11 o'clock hour, Kevin Rideout will be in Rm 214 to present a missions' seminar about his work in Africa. Please join us! ﻿Gift Deadline is December 2nd. T he Angel Tree is now on display in our lobby. All are invited to take the name of “an angel” from the tree and participate in gift giving to a child in need. What is Angel Tree ? 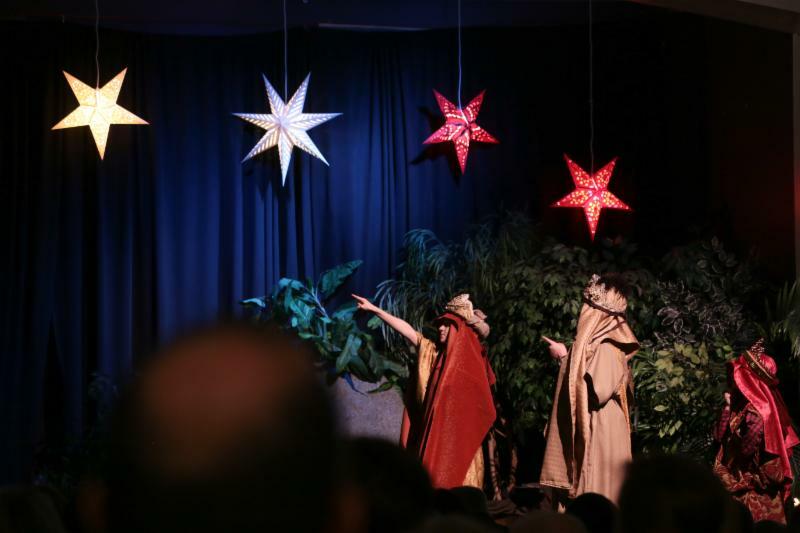 Angel Tree is a Prison Fellowship program that TCC has participated in for many years. 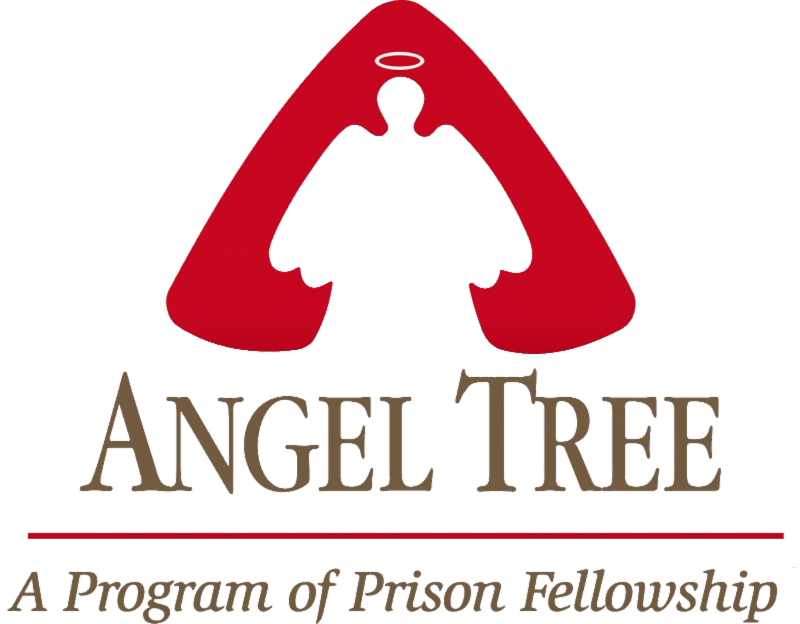 In a wonderfully practical expression of Christ’s love, Angel Tree provides Christmas gifts to the children of incarcerated parents, and, in turn, it provides opportunities for incarcerated parents to reach out to their children. Angel Tree has been effective in opening hearts to receive the most important “Gift” of all, which is salvation and forgiveness of sin through Jesus Christ. Please attach the Angel Tree tag to your wrapped gifts, and bring them to TCC by December 2nd. Leave your gifts on the tables set up in the stairwell area off the lobby. 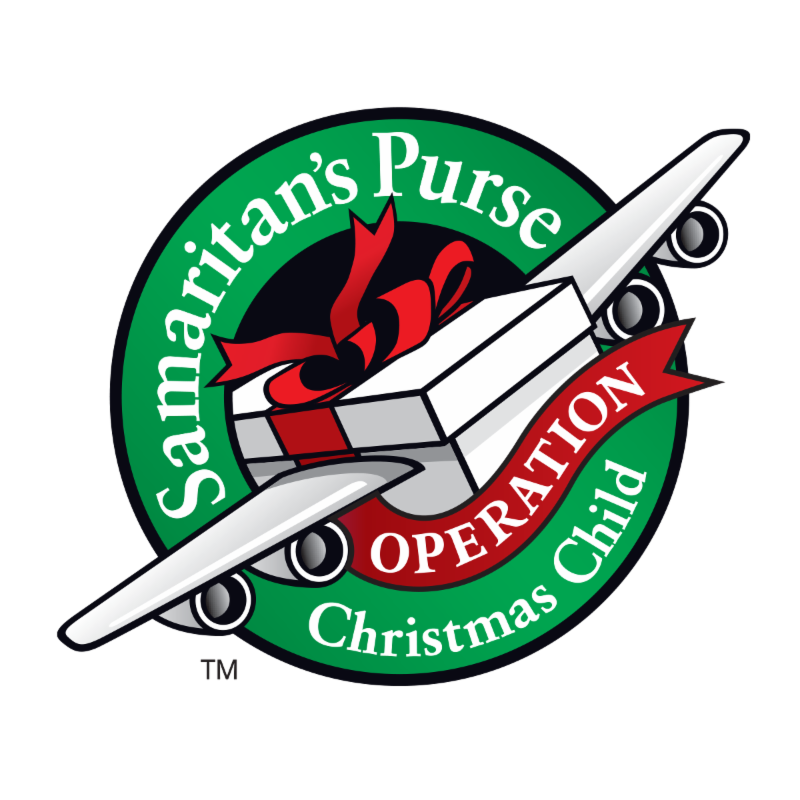 This Holiday season our whole church will participate in "Operation Christmas Child," a program run by Samaritan's Purse. Through the power of simple shoebox gifts, children experience God's love and the Good News of the Gospel. To participate see the OCC display in the Lobby. Once assembled, please drop off your shoebox gifts to the Children's Ministry Check-in Desk by Sunday, November 18th. This is a wonderful project to do as a family this Christmas Season! Please signup at the children’s ministry checkin desk or email Gail to sign up by Sunday December 2nd! 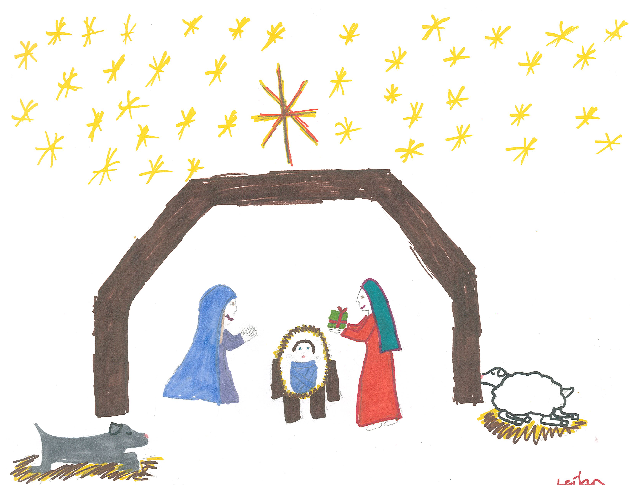 This can be a great project for your kids to have a hands-on experience of the Christmas Story. It is also a great opportunity to read the Bible together as your child thinks about how to illustrate it. We need LOTS of artwork of many different images, so pick one and make it your own! Submit full color drawings on letter sized paper. Write your child’s name and grade NEATLY ON THE BACK. Turn artwork into the CM desk by Sunday December 16th. 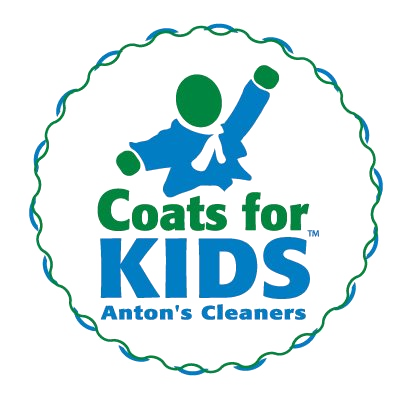 Live the Adventure (LTA) is participating in the Anton Cleaner's annual Coats for Kids drive. In these hard economic times, there are thousands of individuals who are without a warm winter coat. Coats, for children and adults, in good-condition can be donated at the drop-off box near the Children's Ministry desk until December 30th. One of the lessons we’ll be learning in LTA this month is “Work together to help someone in need.” This is a wonderful opportunity for children to realize there are others in need and that they could share what they have to help! All fourth and fifth grade girls are invited to join us at Girls Gathering. This year we’ll use the book, A Girl After God’s Own Heart by Elizabeth George. We’ll discover what God says about growing in love for family and friends, growing in wisdom in order to make good choices, growing in grace when facing situations that are hard, and growing in joy when drawing closer to Jesus. We’ll pray for and encourage one another to become girls after God’s own heart. Register Here or complete a registration form at CM desk. Attention all 4 and 5th grade boys! 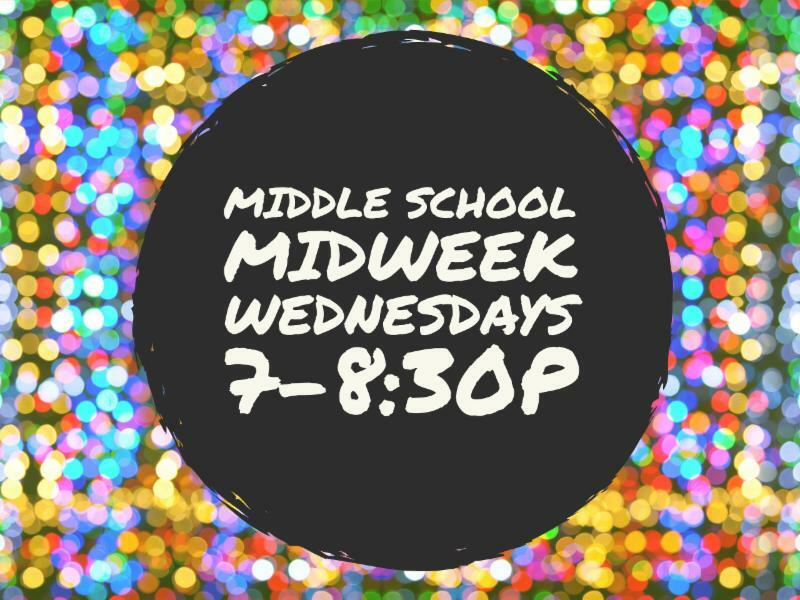 Come and join the fun with Kyle Smethurst, Pastor of Students and Outreach, each Wednesday from 5:30 – 6:45 pm. Register online now. For more information, contact Kyle at kylesmethurst@gmail.com . We have recently taken a look at all the ways we can help others. Now we will look at who helps us and how we can show them that we are thankful for them. When we stop to think about it, we are surrounded by helpers who deserve a big thank you for all the ways they help us. They are making the world we live in a better place. Week 2 : Nehemiah Builds a Wall, Nehemiah 1-6. Week 2: Joshua Wins the Battle over the Amalekites, Exodus 17:8-13. Bottom Line: Work together to help someone succeed. We are going back to Guatemala! Applications are due ASAP! Email kylesmethurst@gmail.com for more details. Choir Rehearsal Thursday Evenings, 7:00 pm in RM 201! All adults are welcome! 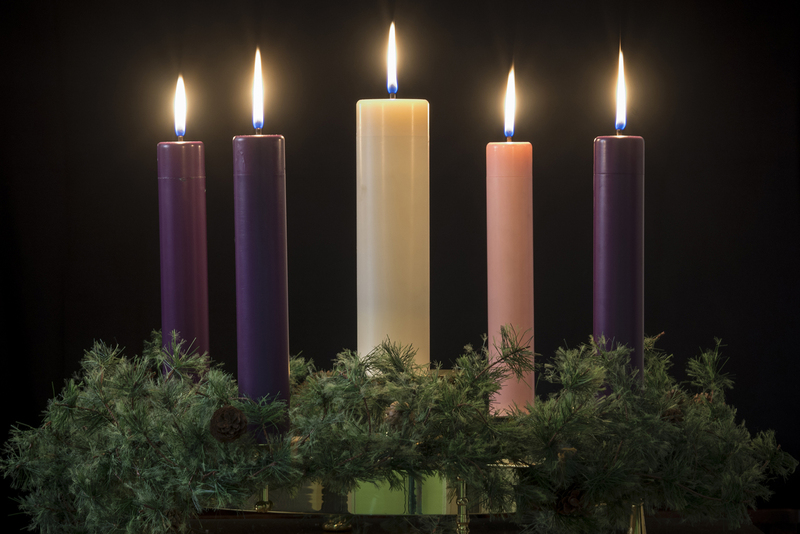 We rehearse Thursday evenings from 7-8:30 pm and sing on the 3rd Sunday of each month, plus seasonal services. With Rev. Allan Baldwin. 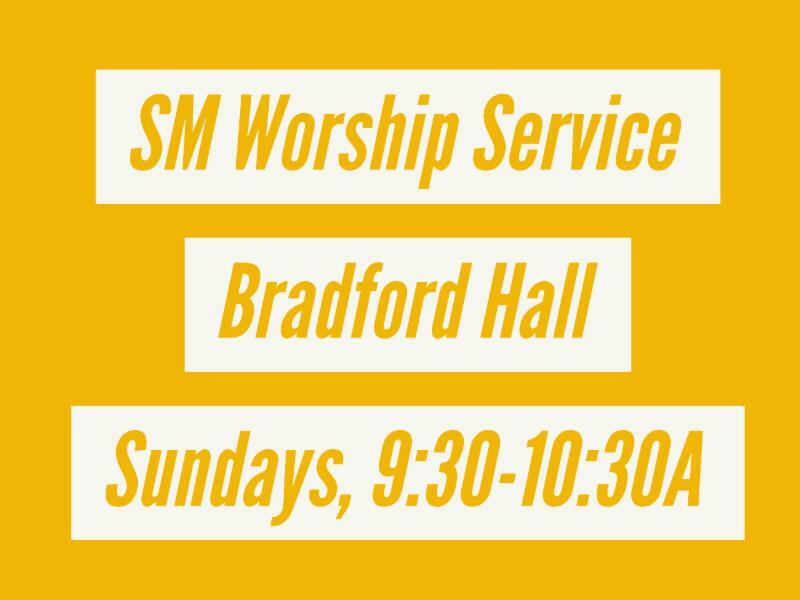 All are welcome to join us at 9:30 am. Light breakfast and Bible Study from 7:30 am-9:00 am. All men are welcome to join us! For more information, contact: Ed Brown at 508-655-9116; beverlybrown2@mac.com or Jim Santamaria at 508-358-7821; hermits@comcast.net. Men's Bible Study - Last Class is Next Wednesday! Wednesday Nights, October 10 - November 14, 7-8 pm. 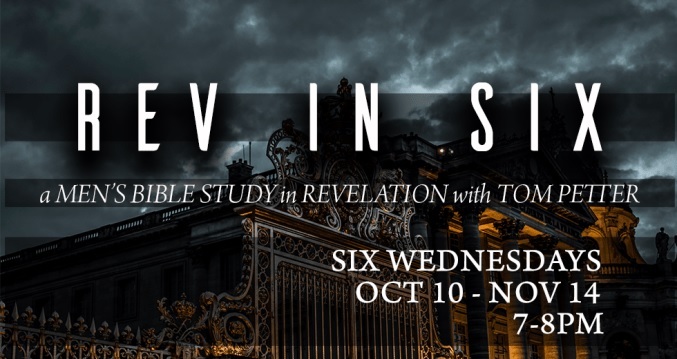 For many, the book of Revelation can seem like a daunting and confusing book to study. Its prophetic voice and outrageous imagery seems to have little to do with our daily lives. But the book of Revelation prepares us to the reality that before glory comes sacrifice: in the life of Jesus and in the lives of His disciples, in every generation. Behind the sacrifice, however, lies absolute victory - Jesus alone is King of kings and Lord of lords. Join Rev. Dr. Tom Petter as he draws from years of study to unpack this book into its basic structure, revealing the interpretive keys to understand Revelation as a whole. 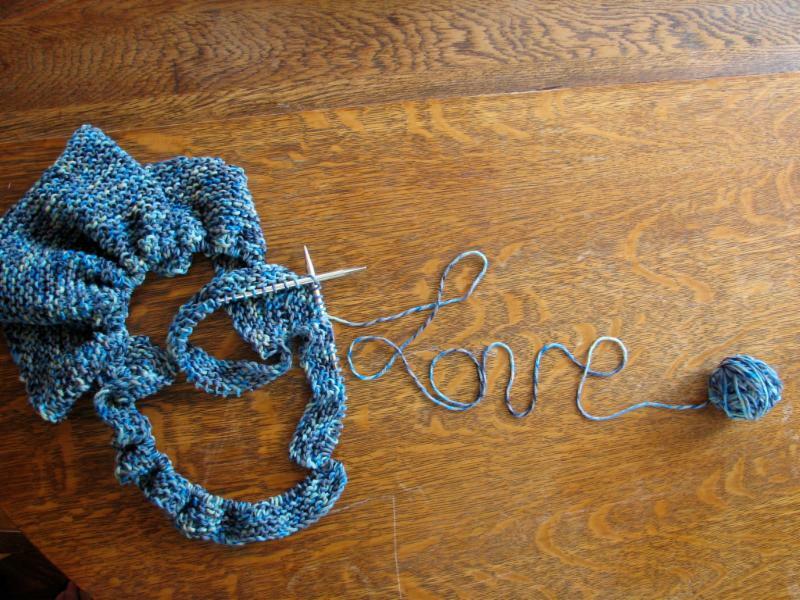 All ages knitting group, Mondays at 10 am & 7 pm in the parlor. Questions? Call Susan Foster at 508-358-5852. 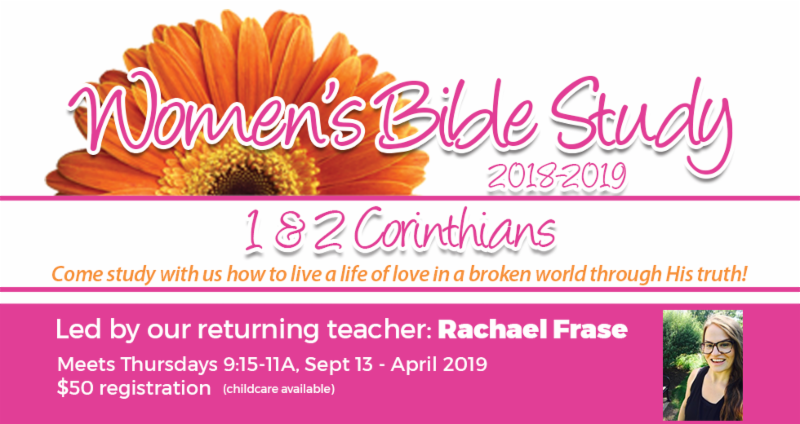 Women’s Bible Study (WBS) will be studying 1st and 2nd Corinthians this year. We’re going to see how if we don’t understand the cross and what came after it - our lives won’t reflect it. Come study with us how to live a life of love in a broken world through His truth! Thursdays 9:15-11:00 am at TCC, Wayland. September 13 - April 2018. Registration and questions? Contact Amy at TCCWBS@gmail.com or the TCC office at 508-358-7717. "Mom to Mom makes me a better mom as it 'gives me support' along the way..."
Mom to Mom meets weekly to address issues and needs of women and family, guided by Biblical principles. We offer encouragement, compassion, and support to moms with children of all ages living at home. For over sixteen years, hundreds of Moms from the community at-large have come together and learned that they "are not alone" in the delight and struggles of raising a family. Any mom, independent of religious affiliation, is invited to join us. Mom to Mom also offers a wonderful Christian Children's Ministry Program for infants through kindergartners. There are crafts, music, games and Bible stories for toddlers on up. A loving and responsible children's team offers your kids the best! Please note that moms and children must be pre-registered. Placement in the children's program is offered on a first come, first served basis. For additional information, feel free to contact Elizabeth Markey at momtomomtcc@gmail.com . Here at TCC, we are passionate about cultivating authentic community. Throughout the week, LIFE groups meet and rely on Bible study, discussion, practical yet compassionate care to encourage, befriend and help each other grow in relationship with Christ. We have groups in Wayland, Weston, Sudbury, Natick and Hudson who would love to have you join them! 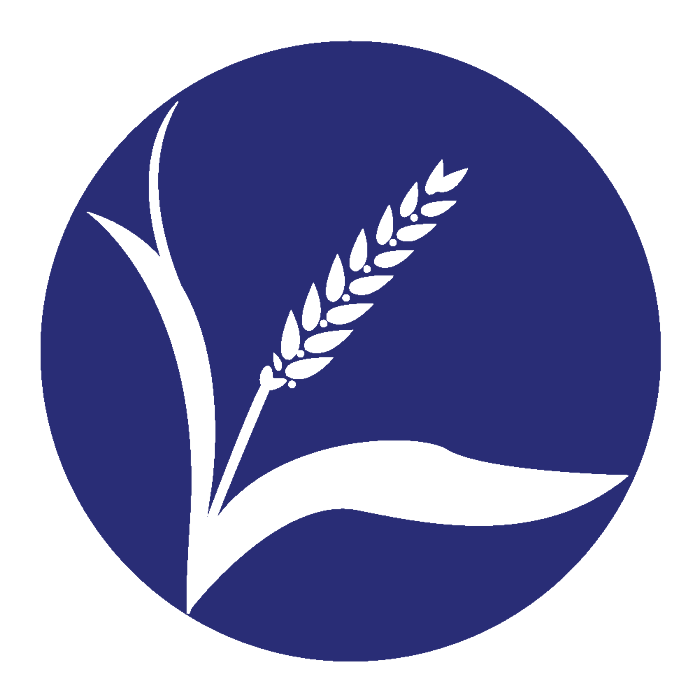 If you are in need, or if you know someone who is in need, such as single parents, those on a fixed income, unemployed or others who could use a helping hand, please feel free to visit the church office for assistance from our loaves & fishes food pantry. Our food pantry is open on sundays and regular church hours. The TCC Food Pantry, “Loaves & Fishes” offers assistance to those of TCC and the surrounding community who need help with providing for themselves and their family . Donations to the TCC “Loaves & Fishes” Food Pantry are gratefully accepted. There is a collection bin on a table near the lobby stairwell. We only accept donations of non-perishable food and personal items. We respectfully ask you not to donate any open or expired items – we just have to throw them away! 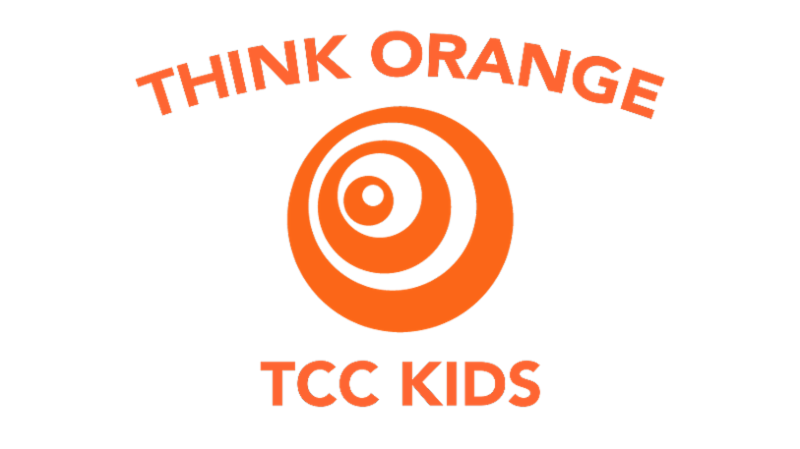 TCC runs on volunteers! 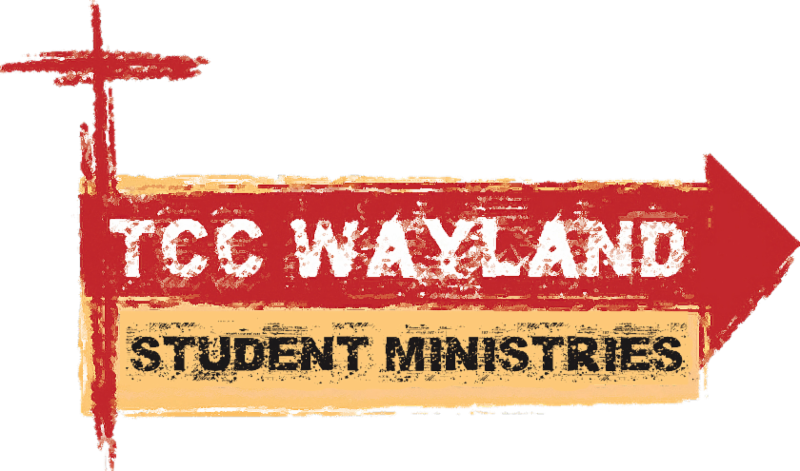 Please visit tccwayland.org/get-involved for more information. Greeters stand in the lobby and at the doors to help people into the building safely. Arrive at 9 am and help us foster a welcoming community. Ushers are absolutely critical in helping newcomers form their first impression of TCC. You help set the tone for the worship experience to come. You are representatives of God’s kingdom.You’re not just opening doors, providing information, handing out bulletins or collecting the offering, you are making people feel welcome! 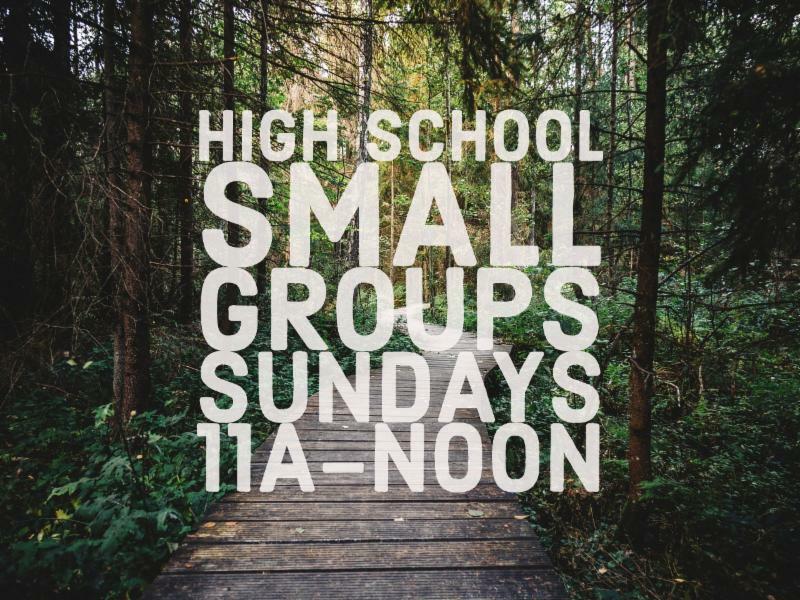 If you enjoy having a cup of coffee while chatting with others during the 10:30 am Fellowship time, please sign-up (alone or with your Small Group) to host a coffee hour! You don’t even have to provide snacks – just make, set up and then clean up the coffee and tea! (Easy instructions provided – click here to see what is involved!) Participation gives you and your group an opportunity to serve the Lord and is greatly appreciated by your fellow members. Are you accurate and reliable? Volunteers count the weekly offering (mostly checks for deposit) each Sunday, and we are in need of new helpers. Offering counters work in pairs. We partner with local Christian organizations to help us achieve the greatest impact in serving our community. We also believe that serving the poor is an essential part of the Christian faith. If you are not yet involved in one of these ministries, sign up yourself and/or your LIFE group today! 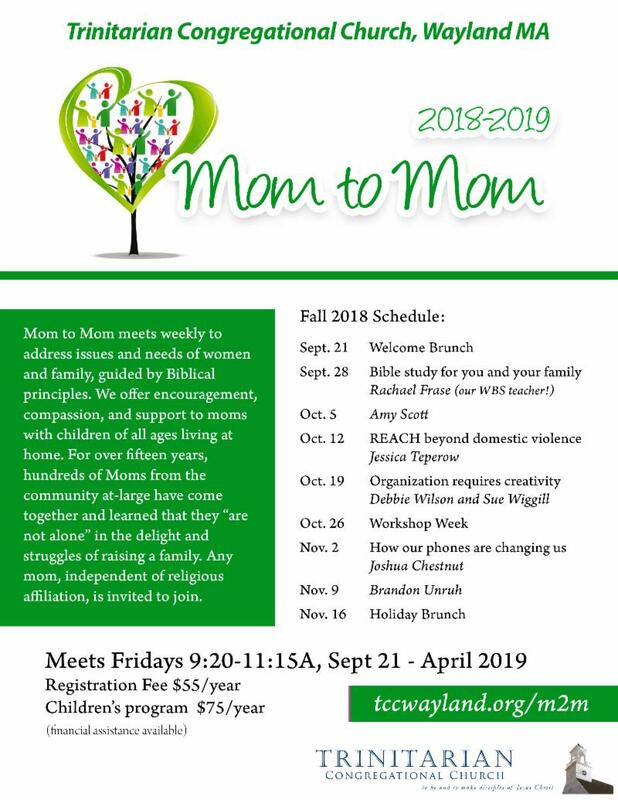 For more information, please contact Jen Calverley or Nancy Griffin at 508-358-7717 or email frontdesk@tccwayland.org. The Bridge House, located in Framingham, is a faith-based recovery home for men with substance abuse problems. Their program provides individualized treatment including counseling to support the spiritual, physical, social and intellectual health of each person in recovery. TCC would like to provide a meal for 50 to Bridge House every month. 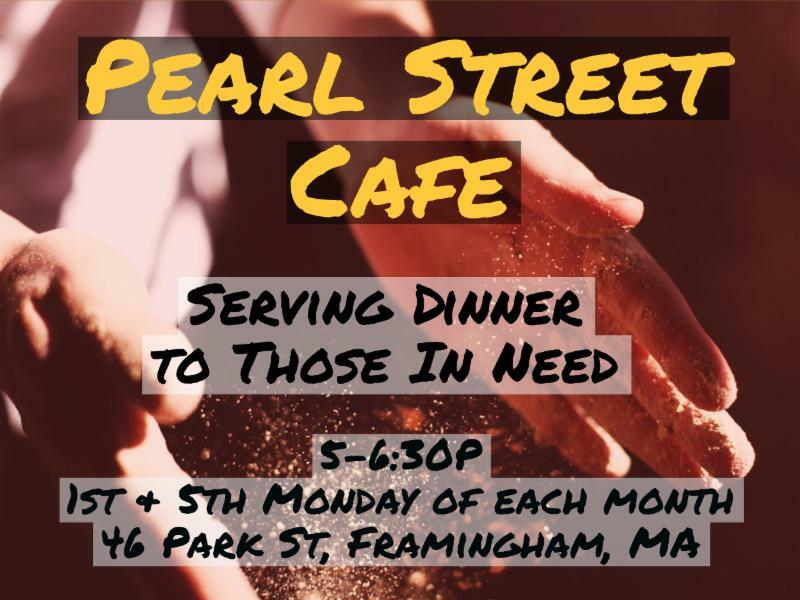 Pearl Street Cafe provides dinner for 50-100 people every weeknight. TCC will provide 12 volunteers to serve dinner there every 1st and 5th Monday of the month from 4:30-7 pm. It's a great way to serve others in our community and no cooking experience is required. We simply wait on tables and serve food prepared by the Pearl St. Cafe staff . There is no age restriction on the volunteers. We hope you will join us and serve! L'Abri is a residential retreat and study center in Southborough, MA. 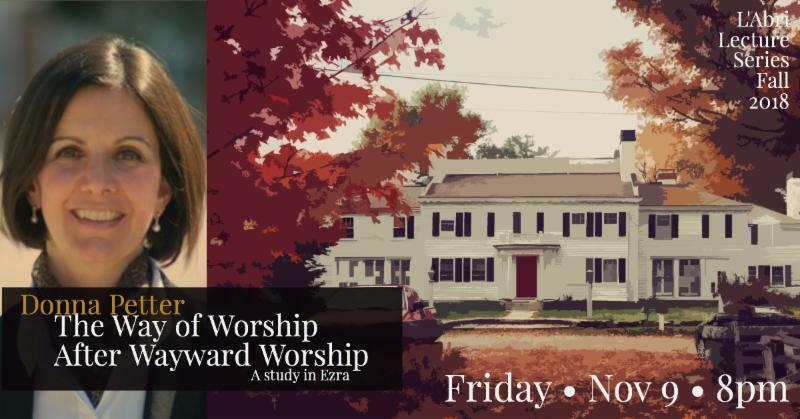 Friday night lectures on Christian faith, theology, and culture are free and open to the public.